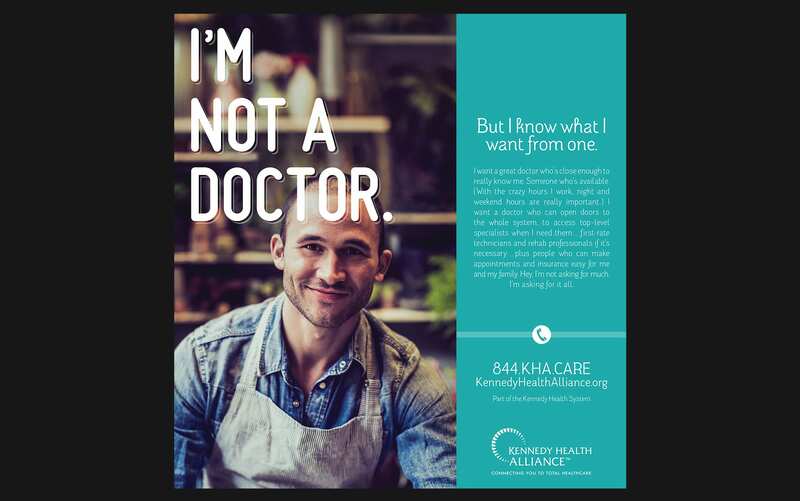 Kennedy Health Alliance provides a single point of access to all the care a family needs, teaming primary care physicians, specialists and support professionals. 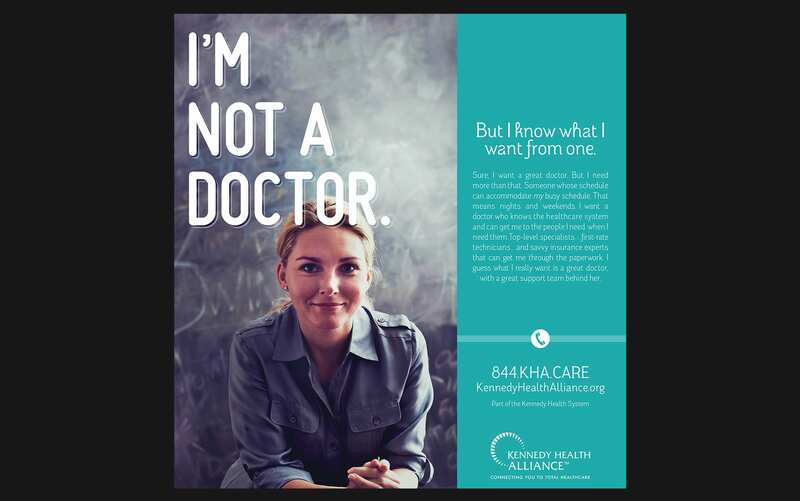 So rather than using the familiar technique of touting the accomplishments of their award-winning physicians, we spoke consumer to consumer. 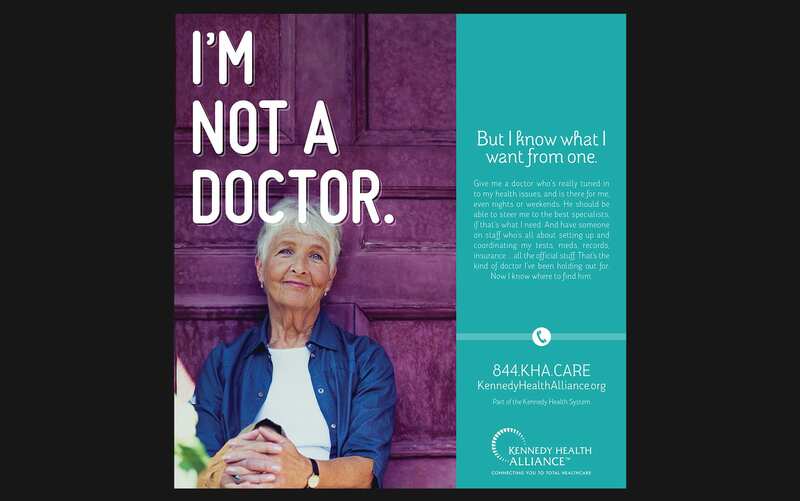 Striking a confident, personable tone unique in the category, we put the patient first. 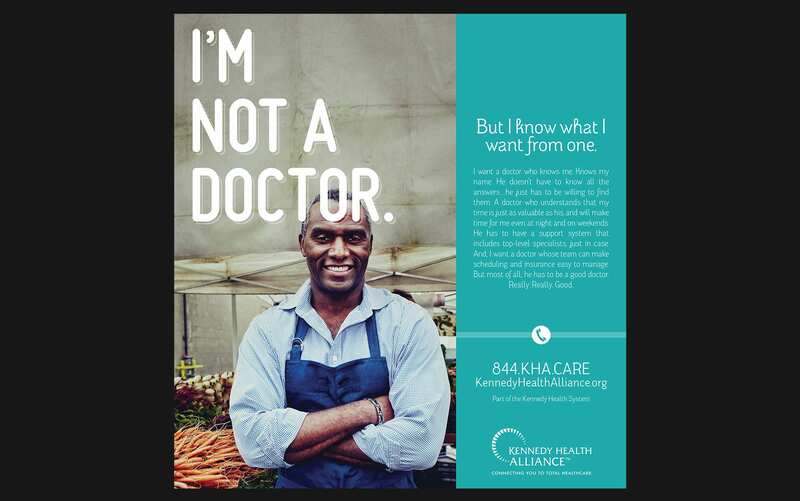 “I’m not a doctor” challenged the market to question their choice of primary care physician.  The goal was to use the Kennedy Health Alliance network of doctors to feed the pipeline for Kennedy’s three hospitals. Your staff at LevLane has been an important part of the Kennedy family for many years. 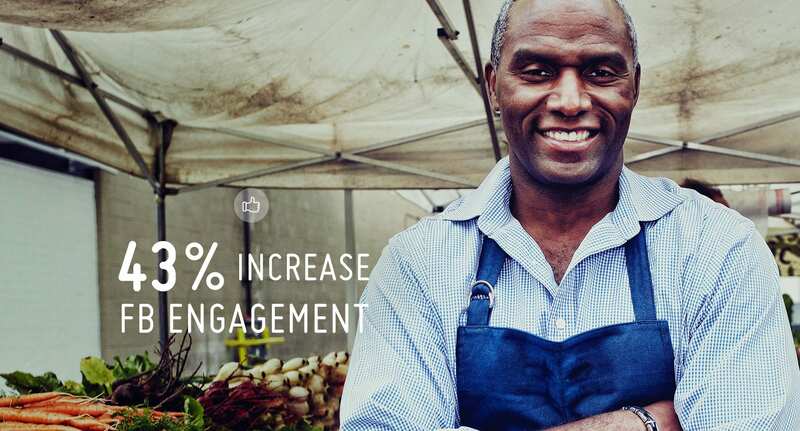 The team deserves special thanks for always working diligently in developing our campaigns and making sure that our health system’s brand is recognizable and distinctive in the marketplace both locally and nationally.